For the ACP’s annual dialogue two First Nation artists, one Australia the other Canadian, communicate their histories of European colonization. James Tylor (Possum) explores Australian cultural representations through his multi-cultural heritage, Nunga (Kaurna), Maori (Te Arawa) and European (English, Scottish, Irish, Dutch, Iberian and Norwegian). Using a hybrid of analogue and digital photographic media, Tylor re-contextualises the representation of Australian society and history.Meryl McMasters looks to the past to form a fuller understanding of the present. 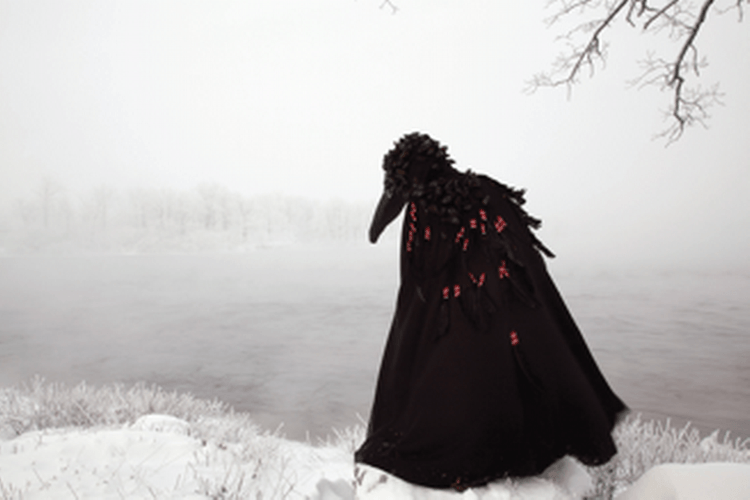 Her performance-based photography reveals the contradictions and conflicts of her heritage (her father is Plains Cree and her mother British, Scottish and Dutch). Meryl’s images hold moments of introspection and contemplation, portraiture that questions personal and collective identity. Image courtesy and © Meryl McMasters. Secret Darkness of Birds, 2015.